Swage-locked grating, also called aluminum grating, is mainly made of aluminum steel bars, and other materials can be stainless steel bars. The bearing bars can be rectangular bars or I bars. 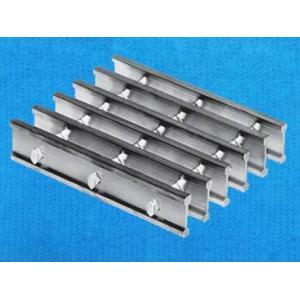 I bar swage-locked grating is the most widely used type. In the same depth, I bar swage-locked grating can supply the same strength with the rectangular bar swage-locked grating, but it is lighter and cheaper than the rectangular bars swage-locked grating. The cross bars are inserted into pre-punched holes of bearing bars and then it is hydraulically swaged under tons of pressure to lock the bearing bars in place. In these processes, the swage-locked grating form a permanent locked structure. The standard bearing bar spacing is 1-3/16" or 15/16". There a type of new products named as close mesh steel grating, which has the closer spacing than the standard. The spacing of close mesh steel grating can range from 7/16" to 11/16". A aluminum swage-locked grating with rectangular bearing bars. Rectangular bearing bar swage-locked grating.A aluminum swage-locked grating with I type bearing bars. I type bearing bars swage-locked gratings. Material: aluminum alloy steel, carbon steel or other material. 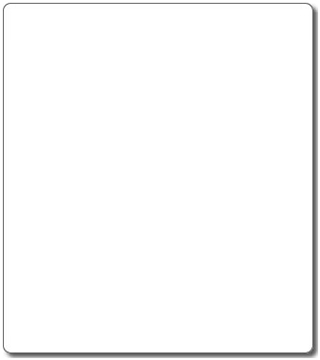 Surface type: plain surface or serrated surface. 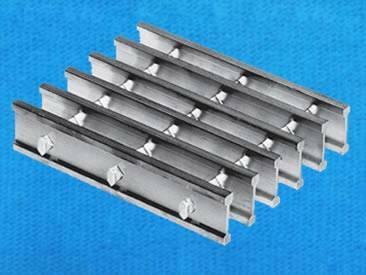 Bearing bars type: rectangular bars or I bars. Bearing bar spacing: standard is 1-3/16" or 15/16". Cross bar spacing: 4" or 2". A smooth surface swage-locked grating on the blue table. Smooth surface swage-locked grating.A serrated surface swage-locked grating on the blue table. Economical. The aluminum material is much cheaper than the galvanized steel or stainless steel. Lightweight. The total weight of aluminum swage-locked grating is about 1/3 of galvanized welded steel grating. Serrated surface for better slip resistance. The swage-locked grating with smooth surface is widely used as the stair treads, walkways, platforms in the industrial and commercial applications. The swage-locked grating has firm and stable structure, it can be used as the security screen in the high class residences and commercial buildings. The swage-locked grating is widely used in the municipal engineering as trench covers, drainage covers or tree grate covers. Three steps of stair treads are made of swage-locked grating. Swage-locked grating with smooth surface is widely used as stair treads.A wall of building is made of swage-locked grating. Swage grating with firm and durable structure is widely used as security screen. A swage-locked grating is covering a trench. Swage-locked grating is widely used in the municipal engineering as trench cover to protect people's safe.A swage-locked grating walkway is installed on the sea. Swage-locked grating has excellent corrosion resistance to be used in the sea environment as walkways.